PLYMOUTH’S Myles Pillage and Annabel Denton were among the medallists at the 2018 British Modern Tetrathlon Championships held at Bath. Pillage produced a dominant display to win the men’s event. 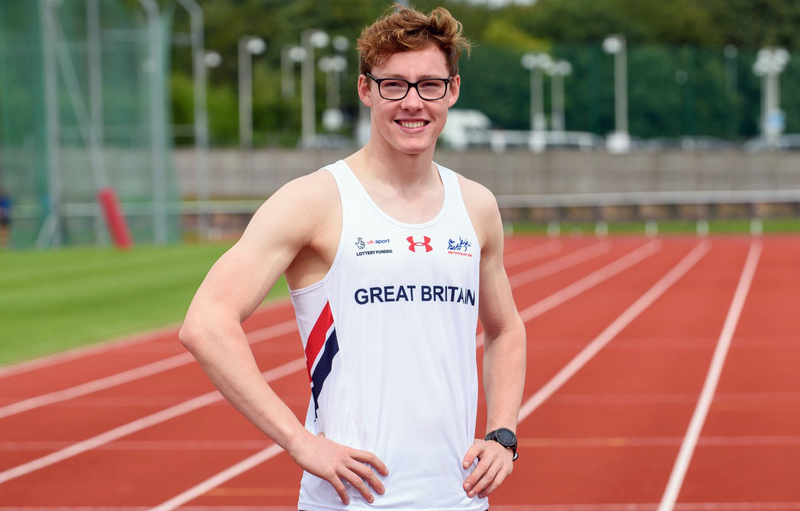 He led from start to finish, with fellow junior athletes George Budden and Bradley Sutton taking silver and bronze. Pillage was the only athlete to break the two-minute barrier for the swim, clocking an impressive time of 1:58.83. The former Plymouth College pupil, who is now studying in Bath, then continued his good form in the fencing to score 22 victories, which was the second best performance in that discipline. It meant Pillage had a commanding lead going into the laser-run and by the end of it the 20-year-old had extended his advantage to 40 seconds. Youngster Denton took silver in a strong under-19 girls’ event, which was doubling up as a ranking competition. She finished behind Sarah Wilson, with Alexandra Bousfield taking third. All three girls had competed for Great Britain at the recent World Under-19 Championships. Denton clocked a decent time of 2:22.25 for the swim before recording nine victories and 11 defeats in the fencing hall. However, she saved her best for last by producing a storming laser-run time of 12:11.86, which was the best of the day, to claim overall silver. Her Plymouth College team-mate Georgina Mitchell had been in contention for the title going into the final discipline. She produced the second best swim time of the day of 2:20.65 and the second best fencing performance with 14 victories and only six defeats, but she fell out of medal contention with the laser-run and ended up seventh overall. Meanwhile, there was a fifth-placed finish for Frazer Oliver in the boys’ under-17 event, while Kerenza Bryson finished sixth in a strong women’s field with a consistent display over all the disciplines.